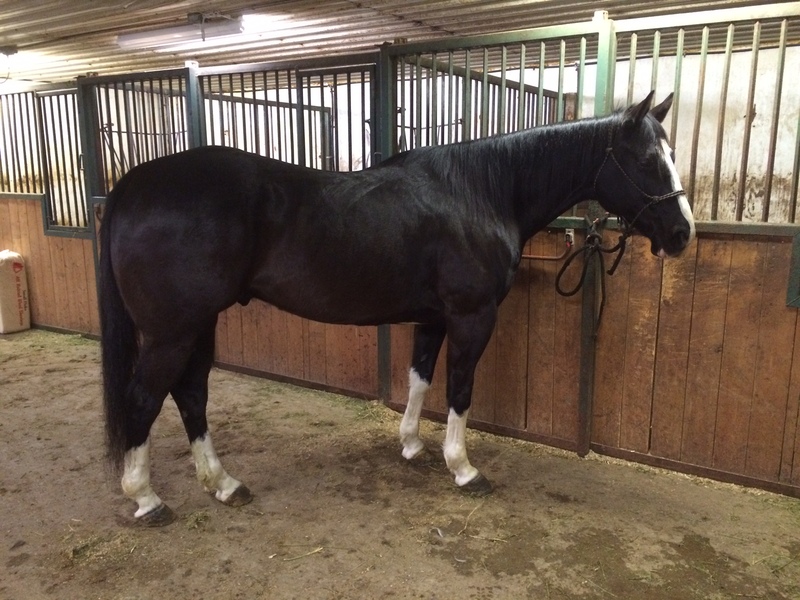 Earlier last year, I posted a picture of my new horse, Max. Max and I remain a perfect match! He’s absolutely everything I hoped for just as important, he has lived up to the expectations I had which were based on what I was told about him. It wasn’t easy finding him however. You may remember, I searched (sometimes with not much patience) for quite some time before I found Schmitt Horse Ranch. Owners, Kyle & Riley Schmitt were instrumental in listening to what I was looking for and matching me with Max. Kyle & Riley have always a great selection of quality horses for sale but I am especially excited that they have created the Five Star Horse Sale which will occur on February 4, 2017. Putting on a sale of this magnitude is no easy task so naturally, I was curious about how and why they decided to take on this project. Once you’ve met this couple, you quickly realize not only are they incredibly talented when it comes to training solid, well-trained and amazing horses….they are also very gracious and accommodating with their time. The following interview will give you a good sense of what kind of horses you can expect to see at this sale. Equally as important, I hope you will get a sense of the character both Kyle and Riley possess. Honesty, integrity and a commitment to helping people find the right horse(s) are attributes that can be hard to find. Until now. Q1: You’ve been training and selling horses for a long time. Holding a sale is a big undertaking! What made you decide you wanted to hold an event like this? KRS: My grandfather started one of the first and largest horse auctions in the mid west located in Plain, WI, later it was run by my father. Its been in my blood and I have always been bugging Riley about getting something going. Finally we just made the plunge and went for it! We feel we are lacking a sale like this in the area, this will create a place to not only buy but also a spot to sell those quality type geldings. Q2: In looking at your online catalog, you have a lot of your own horses in the sale plus some guest consignments. Could anyone have a horse consigned in this sale or were their criteria they had to meet in order to be included in your sale? KRS: We decided to make a few guidelines for the horses accepted into the sale. First off they had to be a riding gelding. After that we looked at quality, age, soundness, and gentleness. We ended up with a super nice set of horses with almost every color, age range, and discipline. Q3: Some people are leery of sales/auctions because they’re never sure of what they’re getting. What makes your sale different from the rest? lots of opportunity to see what each horse is all about. 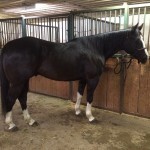 The horses have been posted online and sent out in sale catalogs with plenty of time for buyers to make their phone calls and even meet up for a test ride. There should be no doubt by the time the horse goes into the sale ring if that’s the horse for them or not. We stand behind the horses in our sale, making sure they are represented to be the way they are. This is a great way to look at multiple quality sound horses in one spot, instead of driving hours to look at one “maybe”. Q4: Tell us about some of the horses in this sale. want to keep and enjoy for years to come. 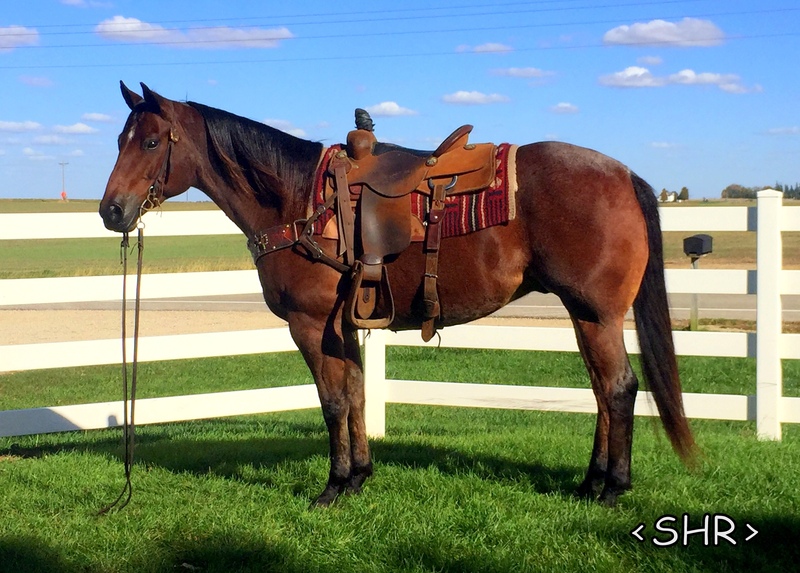 There are barrel horses, rope horses, reiners, cutters and sorters, young prospects, and those solid trail horses that are so high in demand. Q5: What has been the best part of putting this sale together? KRS: We both feel the best part of putting this sale together is the BUZZ about it! We didn’t know what to expect at first or how much interest would come from it. We can hardly put our phones down without it ringing or having a message asking for more details and people showing excitement about attending. Q6: You two are some of the hardest working and most honest people I know in this industry. In addition to finding prospects and training, this sale had to take up a great deal of time. How did you get it all done? KRS: Finding time to put this sale on simply comes from the “drive”. We kept finding more and more things that needed to be done, so we did it! We couldn’t do it without all of the helping hands though, from our chore and stall help to our friends to the printing shop. It takes a lot of people to get everything accomplished, its just a good thing Riley keeps everything on track! Q7: This event will be held at the Iowa Falls Equestrian Center on February 4th with the preview starting at 11am and the sale starting at 4pm. This sale has created quite a buzz in the industry and I know you’re anticipating a big crowd. That is quite an accomplishment in itself. In your opinion, what makes this sale so appealing to people? KRS: We think the difference and excitement about our sale is the fact that its select geldings only. For anyone out there who rides geldings this is a sale that would be hard to miss. Usually now days when we look at a sale catalog we end up with more of them crossed off than circled, we want people to have options and feel that their drive was well worth it. 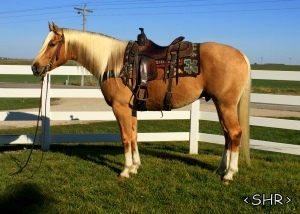 Quality geldings have become as rare as ever, 78 of them in one spot is a hard thing to pass up! Q8: Can we look forward to more sales in the future? KRS: We are definitely planning on making this an annual event. We’re talking about hosting another one in the fall but as of right now we’re just focused on getting through the first one! 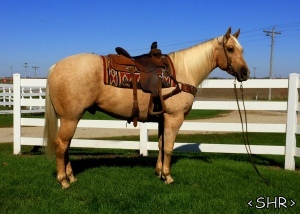 Q9: Who can people contact if they can’t attend the sale but are interested in bidding/purchasing one of these horses? KRS: Some people are worried about not being to physically attend the sale, no problem! We accept phone bids to help accommodate and know several shipping companies that can help with the delivery. All prospective buyers need to do is to give Riley a call at 507-459-8654 prior to sale day and get set up. Q10: And finally, I’m certain this sale has required a great deal of planning, focus and work. When people walk away at the end of the day on February 4th, what do you hope they take with them (in addition to a horse). KRS: At the end of the day we hope that our customers are satisfied, and have found a horse that best fits their needs. People always ask us, “what’s your best horse?” We respond with, “depends on what you’re looking to do with him!” Buying a horse isn’t usually a normal daily routine for most everyone. We would like it to be a relaxed, fun experience where you can have confidence on bidding on your next hopeful riding companion. 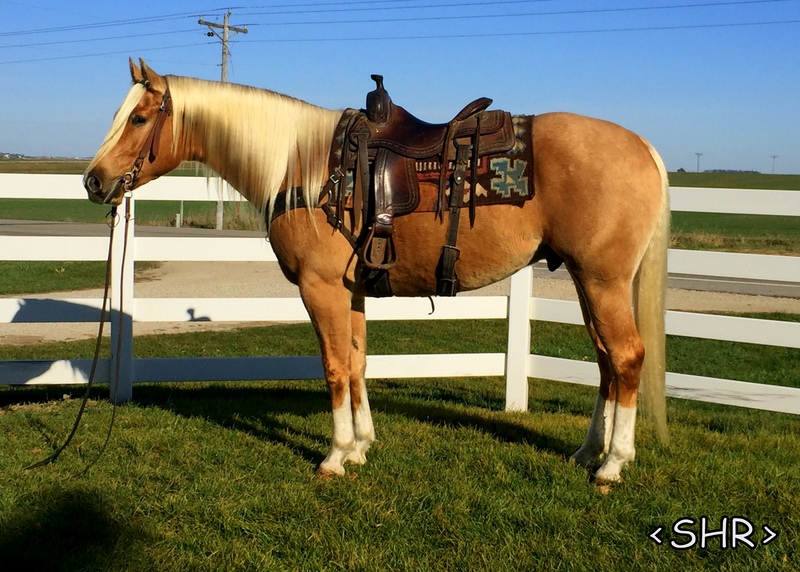 If you’re looking for your next horse and you want: quality, integrity and the ability to see some quality geldings, all in one location, I encourage you to check out the Five Star Horse Sale!